Helena Chambers returns to her old home in Orkney after many years’ absence because her aging father has suffered a heart attack. Now in her late twenties, with a glamorous public relations career in London, it quickly becomes apparent that when she left Orkney to attend university, she was escaping the aftermath of a tragedy – the drowning of her school pal Anastasia – for which she still feels in some way to blame. 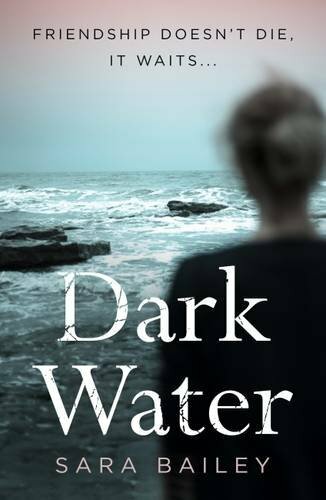 In this fictional debut Sara Bailey builds a vivid portrait of the Orkney mainland community into which Helena has blown like an exotic bird off-course. She and Anastasia had been incomers together when the girls were already in their teens, so she does not feel her roots are here. It’s different for her heroically cheerful dad David, a retired GP, and her quiet, practical stepmother Kate, now thoroughly bedded down here. Kate had once been David’s secretary, but stepped into the shoes of Helena’s elegant mother Lorna, after Lorna’s untimely death, only to find she couldn’t fill them. The edgy, watchful relationship between Helena and Kate is sensitively drawn as they conduct a low-key tug-of-war over the invalid David and boxes of memories of Lorna that Kate keeps hidden away in the attic. As Helena reacquaints herself with the islands, she encounters a vivid cast of individuals from her youth. Larger-than-life neighbour Mrs Kirkpatrick still asks blunt questions that hit tender places. Lecherous Phil, a year or two older than Helena, still dubs her ‘Hell Cat’ and drips innuendo. Old flame Dylan is now married and scratching a living taking boats out for tourists. Vhari, one-time party girl, has settled happily to marriage and motherhood and assumes Helena will attend the imminent school reunion she has organized. And in a cunning fictional touch, every now and then Helena glimpses a distant figure on the shoreline, who causes her to think of Anastasia. Between increasingly painful events in the present, scenes from the past are expertly slid. At sixteen, Helena and Anastasia were archetypal soulmates, bright rebels, authors of practical jokes and breathtaking dares, the most dangerous of which involved swimming out amongst the sinister wartime wrecks that stud the perilous waters of Scapa Flow. Anastasia, complex, highly strung, sets the pace, leading the more sensible Helena on. It’s an intense, but unstable relationship, deftly realized, that breeds jealousy and rivalry as well as deep attachment. The reader, however, like Helena, is puzzled by Anastasia’s obsession for shallow, unappealing Magnus, and the girls’ relationship stretches to breaking point. 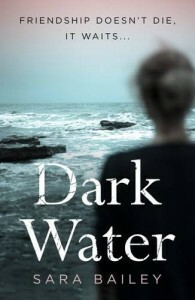 Dark Water is a slow burn of a suspense novel whose pleasures repose in evocation of character, landscape and language rather than in spectacular narrative turns. It is not afraid to go to dark places, however, and, the ultimate revelation, when it comes, is both convincing and quietly devastating.